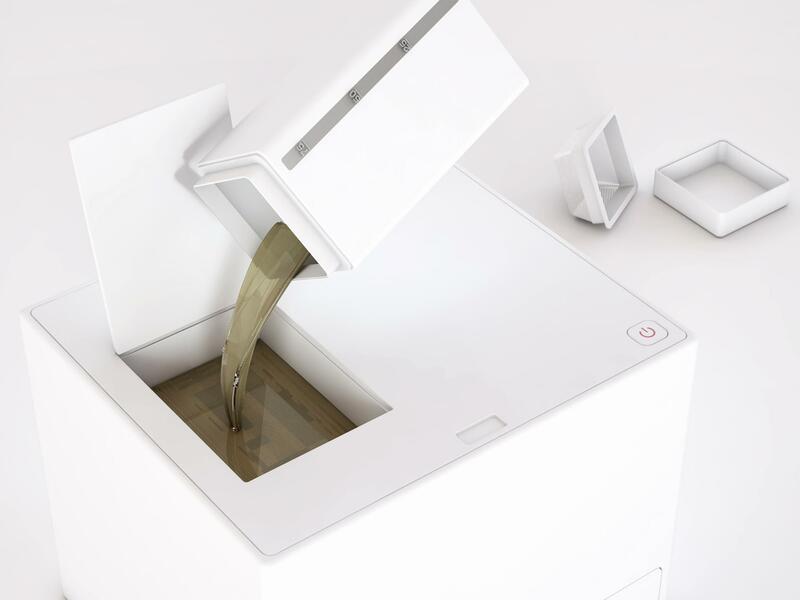 The Soap Factory aka Fábrica de Jabón is a sustainable low consumption appliance, that transforms any used kitchen oil into biodegradable soap in a practical and safe way, avoiding water pollution and oil spills in the sink. Based on the traditional methods of making soap, FDJ may turn a liter of oil into 850 grams of soap, which can be used in various ways such as directly the wash dishes, or even used in washing machines or dishwashers if grated. Fábrica de Jabón prototype is designed by industrial engineer Analía Blanco and Spain’s National Winner of 2011 James Dyson Award. Con Fábrica de Jabón no sólo ayudas a la economía de tu hogar transformando un desecho (aceite usado), en jabón ecológico para lavar, también estás protegiendo nuestros ríos y en definitiva, el futuro de nuestro planeta y nuestros propios hijos.